We’ve all been watching sci-fi movies since we were kids, trying to imagine what the future would look like. In movies and science fiction books people use the most unexpected gadgets to achieve various goals from traveling to other galaxies to robots that do the chores around your house. The possibilities are endless and so is human imagination that has no boundaries. Scientists, technicians and engineers also get inspired by futuristic ideas, yet unlike us, mere mortals, they have the skills to actually create what they imagine and dream about. Lately more and more new gadgets are emerging non-stop as we are getting closer to the future that was envisioned by our predecessors 100 years ago. Soon enough artificial intelligence will control our flights, smart robots will help us build spaceships and teleport will be the most mundane and usual thing ever. Here are 10 unbelievable gadgets that prove we are already in the future. If you think that alarm clocks were invented to torture people, then wait till you try this new invention. Sensorwake Alarm Clock doesn’t use any of those irritating, sharp noises that drive everyone crazy, or even music that can be more pleasant, but will still wake you up abruptly. 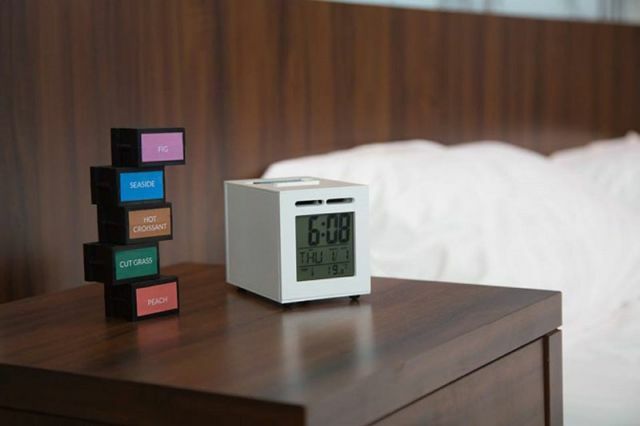 This new alarm clock will wake you up with an incredible aroma of a freshly brewed coffee, bacon, or tasty croissants. It’s the best thing in the world!